I always admire the skill building activities activities our teachers come up with. 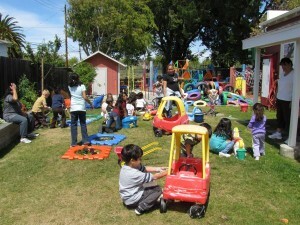 One hot day in June, on my workday we had a “carwash” – all tricycles, cars, ride-on toys and other vehicles were washed by the preschoolers. It was a real low-work day for the working parents, all the kids were so busy and fascinated by this new activity. The children worked so well in teams and they stayed surprisingly dry too. If you think about it, there is so much the kids can learn from this fun activity. 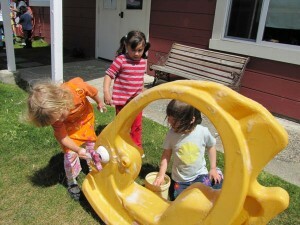 Teamwork, sharing, taking care of and being responsible for their own needs and their own stuff, cleaning. Just like out motto: Learning Through Playing! And it wasn’t just that the kiddos loved it – everything was sparkly clean at the end.